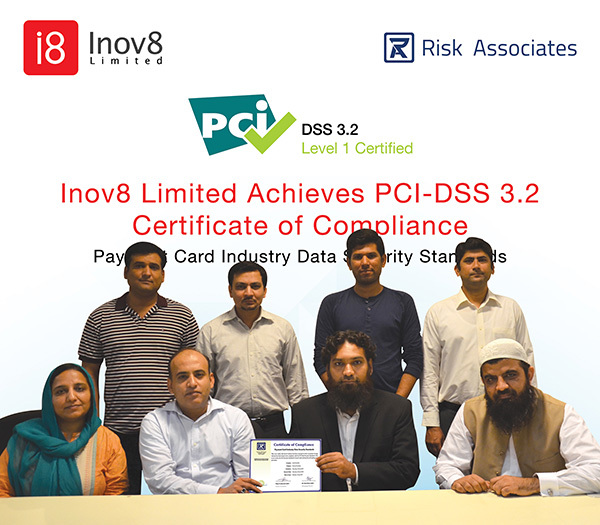 Lahore, 2nd May 2016: Inov8 Limited, the Region’s fastest growing digital payments company, has achieved the PCI-DSS (Payment Card Industry Data Security Standard) v3.1 certification. The PCI-DSS certification onsite audit by Cianaa Technologies QSA shows that Inov8 adheres to the highest data security standards in the payment card industry, can become a card data holder, and is capable to provide security against breaches and theft of cardholder data. Inov8 Limited, the region’s fastest growing digital payments company, has achieved the PCI-DSS (Payment Card Industry Data Security Standard) v3.1 certification. 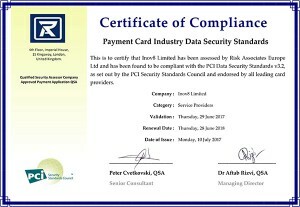 The PCI-DSS certification shows that Inov8 adheres to the highest data security standards in the payment card industry, can become a card data holder, and is capable to provide security against breaches and theft of cardholder data. 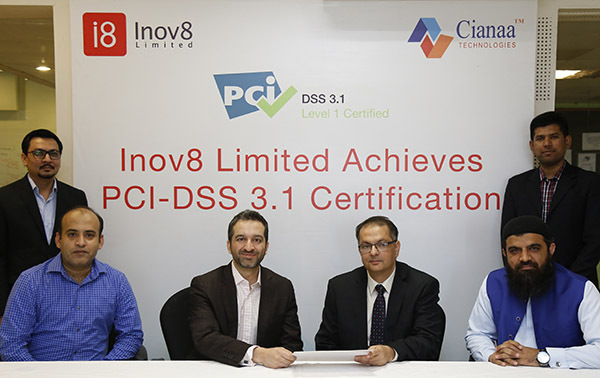 LAHORE: Inov8 Limited, digital payments company has achieved the PCI-DSS (Payment Card Industry Data Security Standard) v3.1 certification, a statement said on Wednesday.